These pieces are all on the wall (and on sale) at the Angus-Hughes Gallery in Hackney (or is it Lower Clapton) this week (12th December until 21st December, Midday until 6pm), London E5. 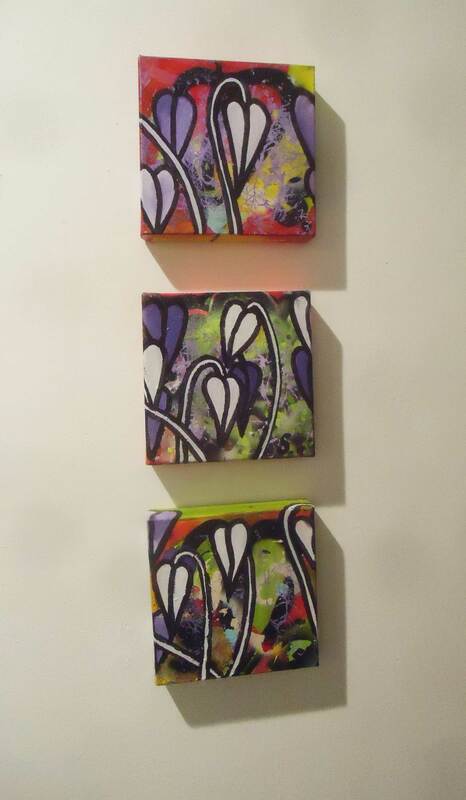 These three are £24 each (hard sell coming up), there”s hand made cards £3 each, small framed pieces £12, bigger canvas pieces, £60 each… and you’ve got a gallery full of similarly priced work from ADAM KELLY, ANA M TERZONI , BARRIE J DAVIES, BILL BROCK, C.A. HALPIN, DENISE HAWRYSIO, ELIZABETH VICARY, EMMA HARVEY, FRANCIS RICHARDSON, FRED LINDBERG, GLENN FITZPATRICK, HANZ HANCOCK, IAN GAMACHE, JOHN LEE BIRD, JULIA MADDISON, KATE LYDDON, KIRSTY HARRIS, MARGARET CLARE KENNEDY, MARIANNE SHORTEN, MARTIN SEXTON, MATTHEW STRADLING, PATRICK MORRISSEY, PAUL GOOD, PAUL JOHNSON, PAUL SAKOILSKY, REBECCA FEINER, SARAH SPARKES, SEAN WORRALL, TEAM BESWICK & PYE, WARREN GARLAND, WILLIAM ANGUS-HUGHES, VANYA BALOGH and more – Photos of the rest of the show on the Organ pages, here’s my part….